As a member company of the Otiga Technologies Group, Union Hospitality Management Co. Ltd. was founded in July 2016 and soon launched its first flagship hotel property – UNION HOUSE Lukang. Our team consists of hotel industry elites and seasoned professionals dedicated to building bespoke design hotels and offering five-star travel experiences. UNION HOUSE Lukang soft-opened in Changhua, Taiwan in Q2 2017. Union Hospitality Management Co. Ltd. provides professional management and consulting services to hotel, restaurant, and travel sectors. Our extensive local experiences and global knowledge allow us to bring the highest international standards to our service practices and to help transform our managed properties to become highlights of the region. Our hotel name in Mandarin – Yong Le – derives from Ming Dynasty’s most powerful and prosperous period when China dominated the world’s politics, economics, culture, and international trade. Lukang also began its early-day development by Southern China immigrants during the Yong Le period in Ming Dynasty and later progressed to become Taiwan’s second largest city. It is our mission to provide world-class hotel services that embrace and showcase local culture, religious traditions, fine arts and performances that resemble Lukang’s rich historical past. Our brand values can also be discovered in our English name. UNION represents unification, harmony, and alliance; HOUSE exemplifies home, a place for travelers to be free, to feel comfortable and warm. UNION HOUSE Lukang takes pride in serving our guests with enthusiasm, caring attitudes, fine traditions and feel-at-home ambiance to impress each of our discerning travelers. UNION HOUSE Lukang is located in the heart of Lukang, a district with more than 500 years of rich history. Neighboring popular destinations like Longshan Temple, Shan Hang Street, Moru Lane, Yi Lou (Remembrance Hall), and Jiuqu Lane (9 Turns Alley), the location showcases the pristinely preserved cultural and historical heritage from the celebrated past of Lukang. UNION HOUSE Lukang incorporates the environment of a world-class international hotel with the care and amenity of Taiwanese hospitality. 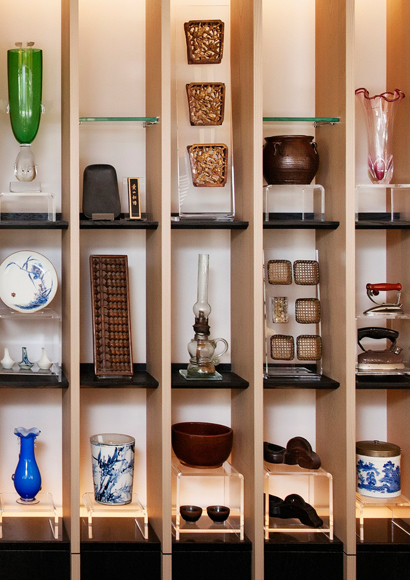 Our services include guided tours of our exquisite artisan craftsmen and tastes of local, authentic Taiwanese cuisine to bring guests a unique travel experience. 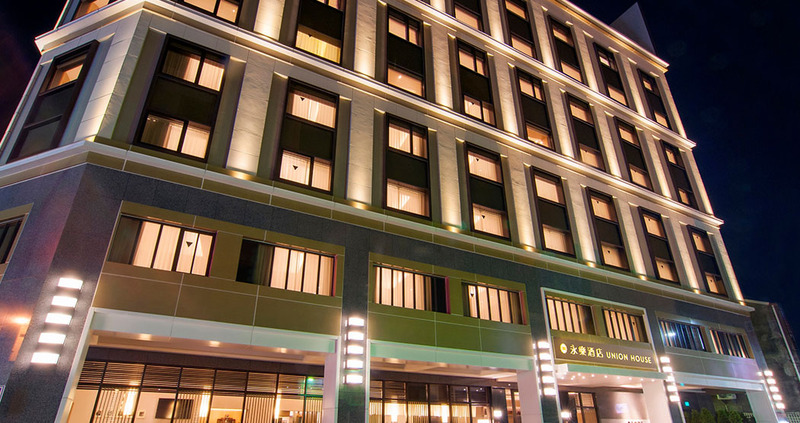 As a member of Small Luxury Hotels of the World, UNION HOUSE Lukang is the only internationally recognized hotel in Changhua, and UNION HOUSE will without a doubt become one of the top highlights of central Taiwan. With the goal of providing an exclusive hotel experience for our guests, UNION HOUSE Lukang offers a range of services specifically tailored to meet our guests' needs. The hotel houses 62 rooms and suites, all equipped with Taiwanese made beddings and linens, complimentary high-speed Internet access, exclusive guest areas, and a wide selection of international cuisines for breakfast. Our buffet-style breakfast includes Lukang's renowned local delicacies, fusion cuisine, fresh fruits and vegetables, local dairy products, freshly baked breads, cakes and pastries as well as seasonal dishes specially prepared by our chefs. Our guests can enjoy these fine foods in total elegance atop PAK Porcelain premium tableware designated by the Dubai royal family, bringing guests a fine dining experience. Each time at check-in, our staff prides themselves on the ultimate VIP welcome treatment reminiscent of world-class airline service where our guests can savor freshly made beverages and refreshments. For some added fun, our hotel offers exclusive sightseeing trishaw tours every afternoon between 4:00-6:00 PM, diving deep into famous Lukang sights. Give it a try and you will truly feel the beauty of Lukang. As a member of Small Luxury Hotels of the World, UNION HOUSE Lukang is the only internationally recognized hotel in Changhua, and UNION HOUSE will without a doubt become one of the top highlights of central Taiwan. Our buffet-style breakfast includes Lukang's renowned local delicacies, fusion cuisine, fresh fruits and vegetables, local dairy products, freshly baked breads, cakes and pastries as well as seasonal dishes specially prepared by our chefs. Our guests can enjoy these fine foods in total elegance atop PAK Porcelain premium tableware designated by the Dubai royal family, bringing guests a fine dining experience. Each time at check-in, our staff prides themselves on the ultimate VIP welcome treatment reminiscent of world-class airline service where our guests can savor freshly made beverages and refreshments. Our hotel offers exclusive sightseeing trishaw tours, diving deep into famous Lukang sights. Give it a try and you will truly feel the beauty of Lukang. We actively seek talented individuals who are enthusiastic about hotel and travel industries to join us at UNION HOUSE Lukang where we provide merit-based growth opportunities in an excellent work environment. Meal allowance, work clothes with free laundry, staff lounge, monthly birthday celebration, annual party, holiday bonuses, performance bonuses, multi-disciplinary education and training, annual health exam, labor insurance, health insurance, group insurance, retirement pension. Terms & Privacy©UNION HOUSE. ALL RIGHTS RESERVED. UNION HOUSE take your privacy seriously. By accessing and using the Site you acknowledge and agree to our Privacy & Cookie Statement and the following Terms & Conditions (the “Terms”). If you do not accept the Terms (as amended from time to time), please exit the Site immediately. The Site and all content contained thereon including, images, photographs, logos, and other materials, and the copyrights, trademarks, trade dress and other intellectual property rights in such materials are owned by UNION HOUSE or its licensors and its affiliates. The Site or any portion of this Site may not be reproduced, duplicated, copied, sold, resold, or otherwise exploited for any commercial purpose that is not expressly permitted by UNION HOUSE.